Equipped with Cummins diesel engine, powerful, reliable performance. Suitable for long distance, large diameter pipe laying engineering. Technical parameters Diesel Engine Power 160KW Max. 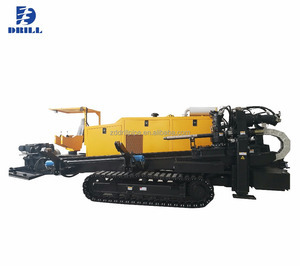 crawler-type Trenchless horizontal direct drill / pipe laying machinery / HDD drill rig Trenchless horizontal direct drill / pipe laying machinery / HDD drill rig 1.HWP-20 directional drilling rig adopts steel track with rubber block. 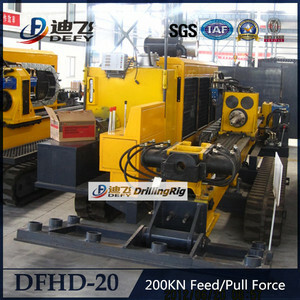 2.The drilling machine feature reasonable structure, convenient operation ,and high stability. 3.The hydraulic system adopts the most advanced hydraulic guide control system for high efficiency and minimal operating force. 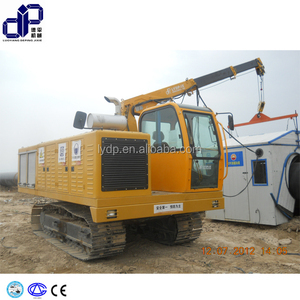 JL-15 is a self-propelled Hydraulic Directional Drilling Rig with rubber crawler belts. 2. 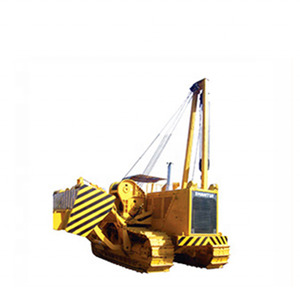 Its main hydraulic components, engine and mud pump are all adopted from domestic first-class products. Parameter * All kinds of drill pipe, drill tool, component, orientation instrument are also provided. The rotary drive is drive by two motors for steady rotary and large torque. Technical parameters Diesel Engine Power 125KW Max. Thrust Force 250KN Spindle Speed 0-100rpm Entry Drill Angle 8-20&deg; Max. 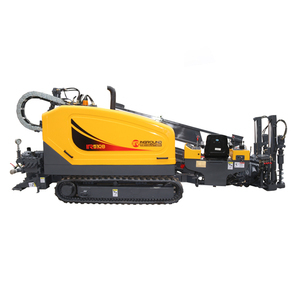 China HDD underground drilling rig, pipe laying machinery DFHD-120 horizontal directional drilling rig Application : Our Horizontal Directional Driller is a new underground piping construction machinery which is based on the advanced theory of &ldquo;Trenchless Technology&rdquo;. 4.With controllable wide flow range, the displacement could be adjusted flexibly according to different geological conditions and performance techniques. 5.Equipped individually of mud processing unit, adopting injection and recirculation storage procession method,the efficiency will be increased and the intensity of labor will be decreased. 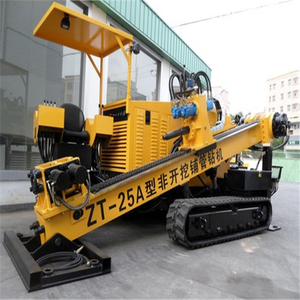 high efficiency underground pipe laying machine, 20T trenchless HDD horizontal directional drilling rig Trenchless horizontal direct drill / pipe laying machinery / HDD drill rig 1.HWP-20 directional drilling rig adopts steel track with rubber block. 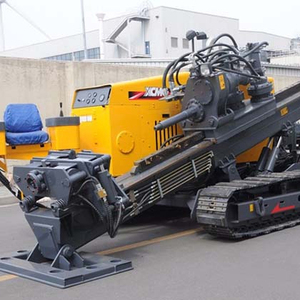 2.The drilling machine feature reasonable structure, convenient operation ,and high stability. 3.The hydraulic system adopts the most advanced hydraulic guide control system for high efficiency and minimal operating force. Equipped with automatic braking device, it can brake effectively only by moving clutch. With compact design and flexible steering function, it can be operated under narrow work site. 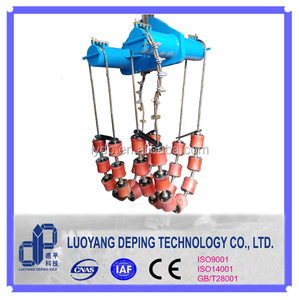 Simple operation and easy maintenance, it is a necessary tool for electric power construction. Guangzhou Autofor Precision Intelligent Manufacturing Co., Ltd. It has simple design and advanced structure and is integrated with power station and main power which lead to the liable and table m ovement. 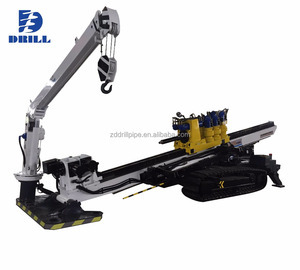 The whole machine is very stable with low center of gravity; It is Equipped with an auxiliary crane and its controlling cab provides a comfortable environment for the operator. Our products are certified by ISO9001 authentication quality system and we are the national technology enterprise in Jiangsu province. , features of unique structure, easily control, highly automation and stable performance. 3. We accept customized products as per your special requirement. 5.If the minimum order amount is in excess of $10000, there are preferential. Our products are full of hot dip galvanized pipe and pre-galvanized pipe. We are well known for supreme quality, reasonable prices and a high reputation. 2. What is the minimum order amount9 Orders are 5 tons for each specification.